Modern boilers require constant water pressure in order to function properly. A boiler that keeps losing pressure is therefore always cause for concern. It is important to investigate and identify the cause as soon as possible, to protect the boiler itself and also your home from any risk of damage. Although the pressure gauge on your boiler will quickly tell you if you are losing pressure, it can be much harder to find the source of the problem because of the complex nature of heating and hot water systems within the home. There are two main problems that typically cause a loss of pressure - water escaping somewhere in the system or a failure of the expansion valve and resulting damage to the pressure relief valve. Let’s take a closer look at these two situations and what actions you can take to solve this problem. Due to the complex nature of modern plumbing, this can be one of the hardest problems to identify. Most pipework is hidden within walls or behind cupboards or panels, meaning it is very difficult to conduct a visual examination. However, even if leaks are hard to pinpoint, it is very important to find them, and over time they can cause damage. This can range from unsightly mould to more advanced rot problems, leading to more expensive damage. The good news is that the vast majority of water leaks in the household heating system occur at joints or fixtures, which will almost always be in visible locations. In particular, water leakage tends to occur where the supply pipes are connected to radiators. The risk of leakage is increased if the fittings allow any movement of the radiator, as can be the case with modern wall mounted radiators. If you think that there may be a leak in the system, examine the connections on your radiators. Note, however, that even if the pipework is wet to the touch, this does not necessarily indicate that there is a leak - it may be caused by condensation due to temperature differences. Because of this, it is not always easy to diagnose the problem. If, however, you have suspicions that one of the joints is leaking, dry it off with a paper towel then place a tray or even a piece of paper underneath it. Watch to see if a regular drip develops. Other indicators of a leak affecting a particular joint include flaking or bubbling paint on the pipe or the skirting board, rust marks, swelling, bulging or lifting of the skirting board and sometimes water stains on the ceiling below. If you do find a leaking joint, get it examined and repaired or replaced by a professional. If your boiler maintains pressure after this, then it is likely that the problem has been solved. If your boiler continues losing pressure and there is no leak, then there may be a fault with the boiler. If you are confident that your boiler is not losing pressure due to a leak elsewhere in the system, then it is time to shift your focus to the boiler itself. Most modern combi-boilers use a system known as a ‘filling-loop’ to maintain the cold water pressure from the mains supply. Many boilers allow the end user to regulate the amount of water circulating in the boiler and heating system by manually adjusting the filling-loop. This can allow you to restore the pressure in the boiler and heating system. Identify the filling-loop and pressure gauge. The filling loop handles should be at a 90° angle to the flow of the pipe. Ensure that you can see the pressure gauge whilst accessing the filling loop. As a guideline, most sealed systems will operate at around 1.0 - 1.5 bar but always consult the manual for your specific system. The correct pressure level will often be shown on the gauge for modern systems. Be careful not to over-pressurise the boiler. Keep sight of the gauge at all times. You may need somebody to assist you if this is not possible. Once the correct pressure is reached, make sure the handles are fully closed. In the event that you do accidentally over-pressurise the boiler, there is no need to panic. The best solution is to bleed your radiators in order to reduce the pressure back to the correct level. Although fairly straightforward, this is a time consuming job that is better avoided. If your boiler maintains pressure once the re-pressurising procedure has been completed, then the problem is likely to have been resolved and there is no further need for concern. If, after following these steps, your boiler keeps losing pressure then this is a sign that there is a fault within one of the components of the boiler which will require the assistance of a qualified engineer. Where this is the case, it is advisable to have an engineer inspect your boiler at the earliest possible occasion to avoid further damage occurring. If you have any doubts about your boiler losing pressure or are not sure about how to re-pressurise the system yourself, it is always best to consult a professional. 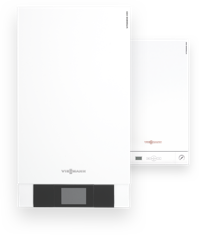 Be sure that anybody conducting work on your boiler is on the Gas Safe register and choose a trusted company to ensure that you get the best possible advice.